He finds satisfaction in restoring smiles for people. Jon Basile is an artist of sorts. 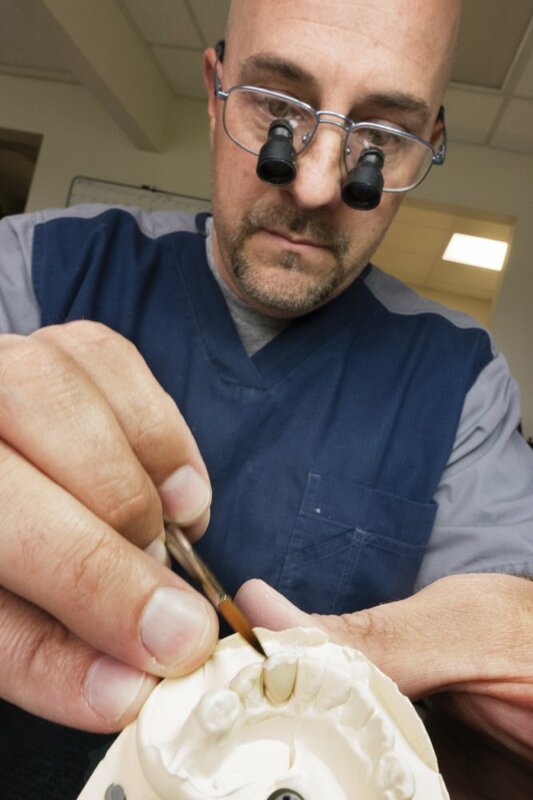 For the last 20 years, he has created crowns and bridges to restore teeth for patients in southern Maine. 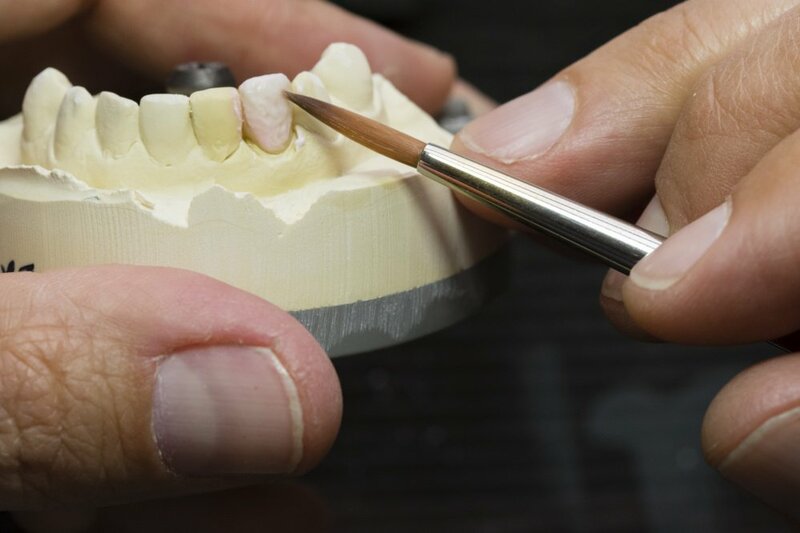 “Giving the patient back their smile,” he said, is his favorite part of being a certified dental technician. 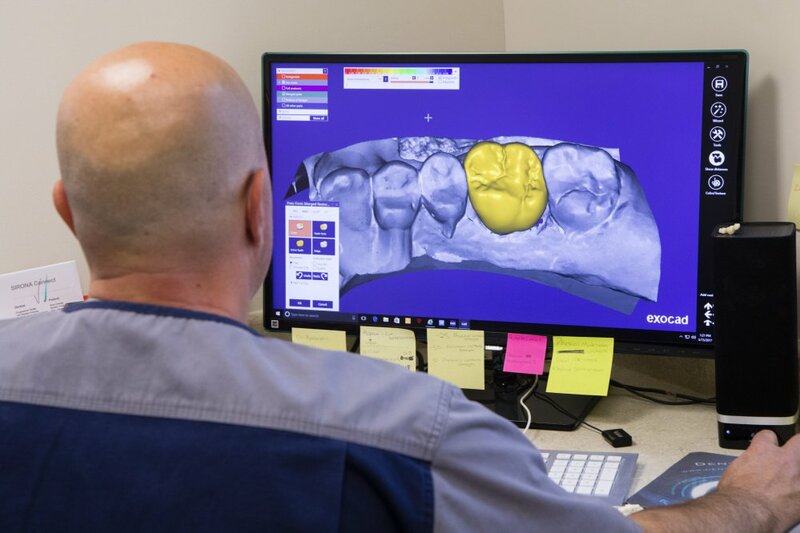 Basile owns Dental Dynamics Inc. of Westbrook, which uses digital technology and high-tech milling machines to create custom dental work. Originally trained as an aviation mechanic, Basile wanted a different profession that would allow him to eventually own his own business. 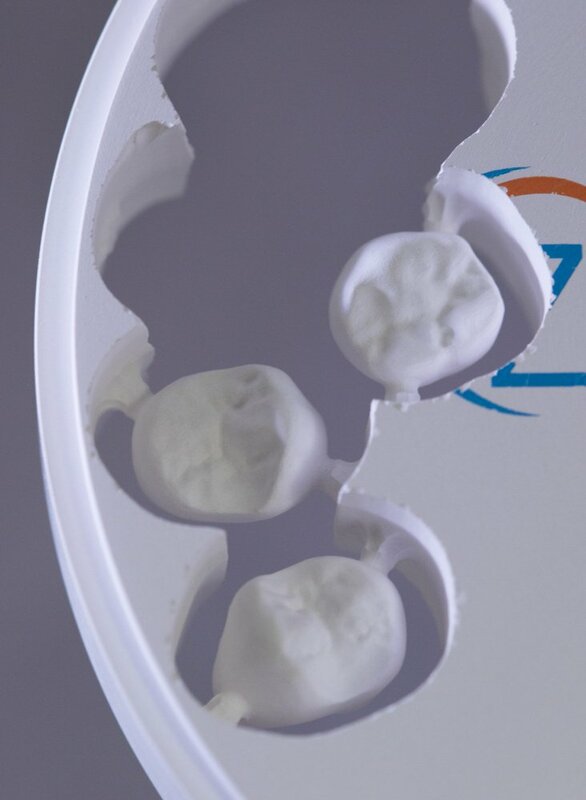 His wife, Vicki, a dental hygienist, convinced him to give dental work a try. He worked in dental offices and as an independent contractor honing his skills, before becoming the owner of Dental Dynamics in 2012. Although he learned on the job, others can earn CDT certification through associate degree programs. Salaries start at about $20,000 for a novice to over $100,000 for a veteran CDT in a good market, said Basile. His least favorite part of the job is common among other small-business owners: “It can be a lot of hours,” he said.